Every time we look for something unique associated with Harry Potter, we are in for a lot of surprises. The buzz around “the boy who lived” and his adventures never seem to die at all. Harry Potter literally lives in our system and defines an entire generation that grew up on it. Then, there are some of us who take their love for Harry Potter and everything remotely associated with the books so seriously that they literally breathe the series in and out. Take Emma and Greg Gavelis for example. 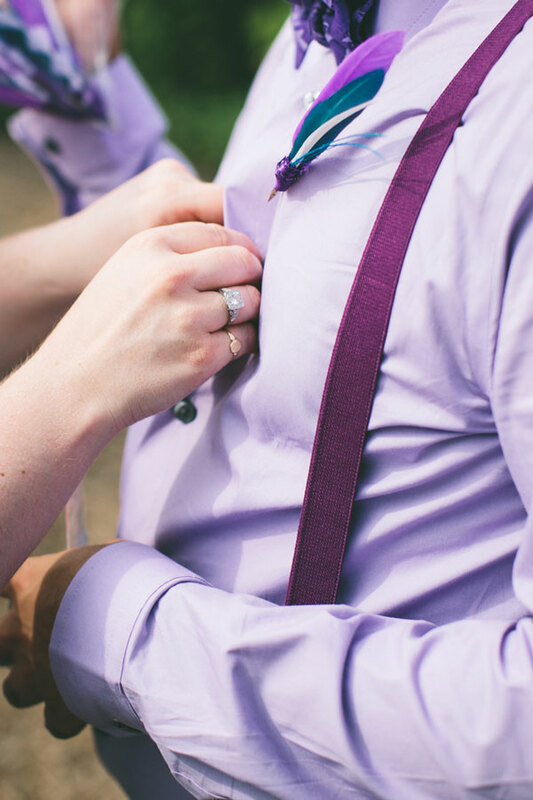 They met at a dating site and fell in love because both shared a passionate interest in Harry Potter. They proudly say that Harry Potter is the third angle to their romance and the reason why they are together today. 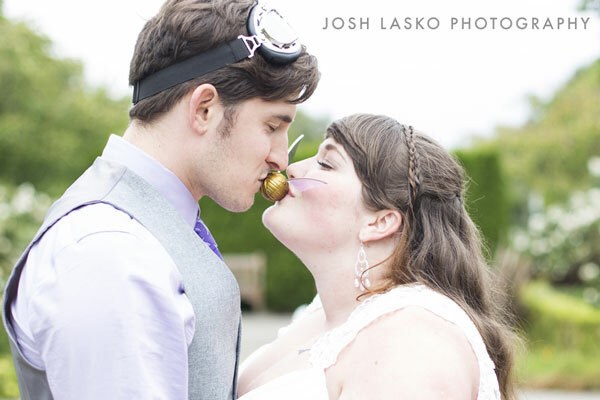 As if this wasn’t enough, they planned their entire wedding themed around the Potter series. This one stumped us totally! 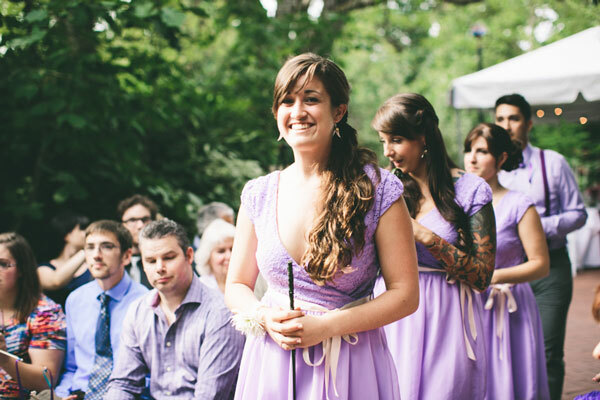 An entire wedding that makes you feel like you are at Hogwarts; that has to be one wedding we are ready to attend at any cost. Emma designed and made most of the things by herself. The detailing, the look and the overall feel they managed to pass on to their wonder struck guests will take you aback. 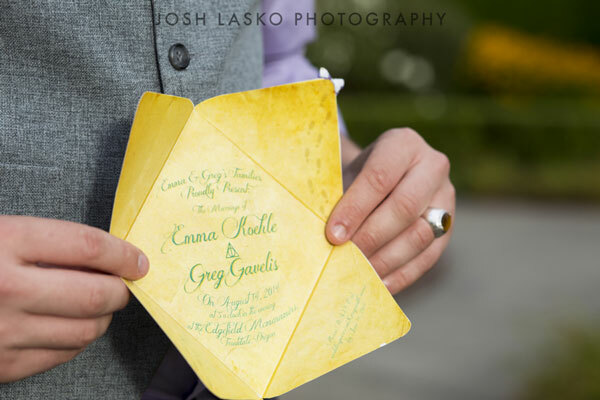 It’s top notch creative and absolutely adorable and will just make you want to attend such a wedding some day in your life (or maybe plan one for yourself). Harrp Potter fans, get ready, this one is real good! 2The happy couple and the Snitch! 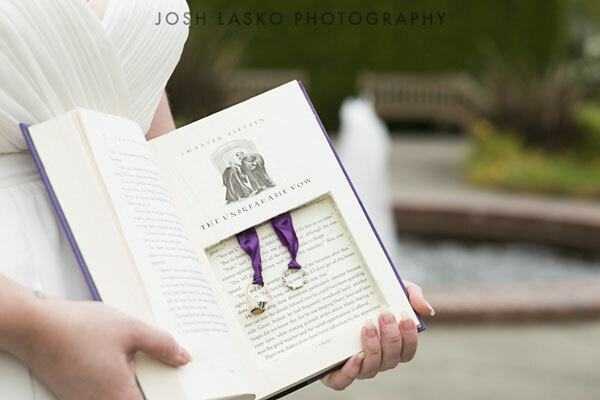 3The beautiful wedding rings in the book! 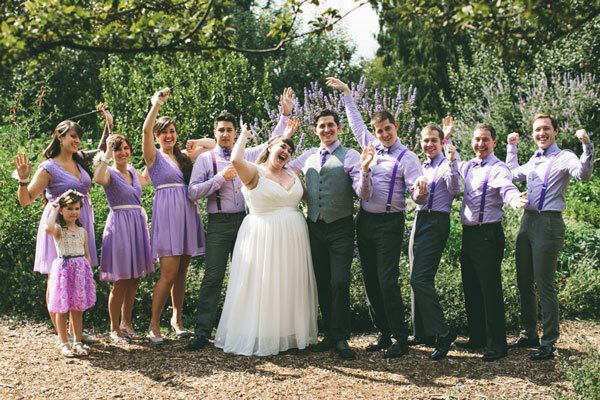 4The couple with the bridesmaids and groomsmen! 5Look at the detailing! 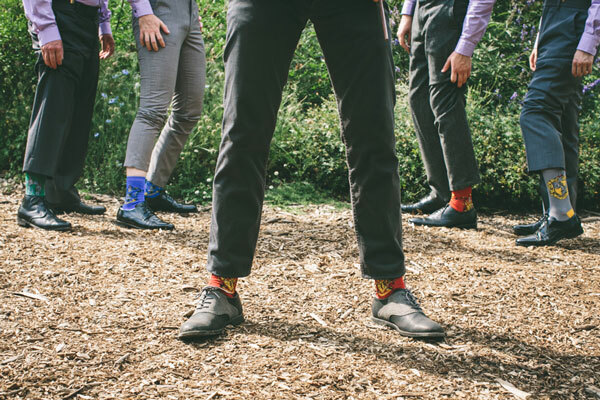 The groomsmen wore socks from the houses of Hogwarts and had quill boutonnieres! 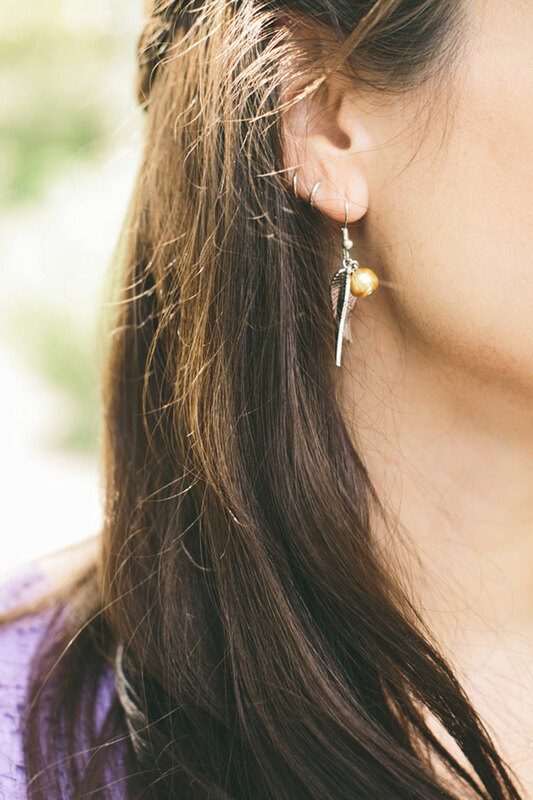 6The bridesmaids were carrying wands and wearing snitch earrings! 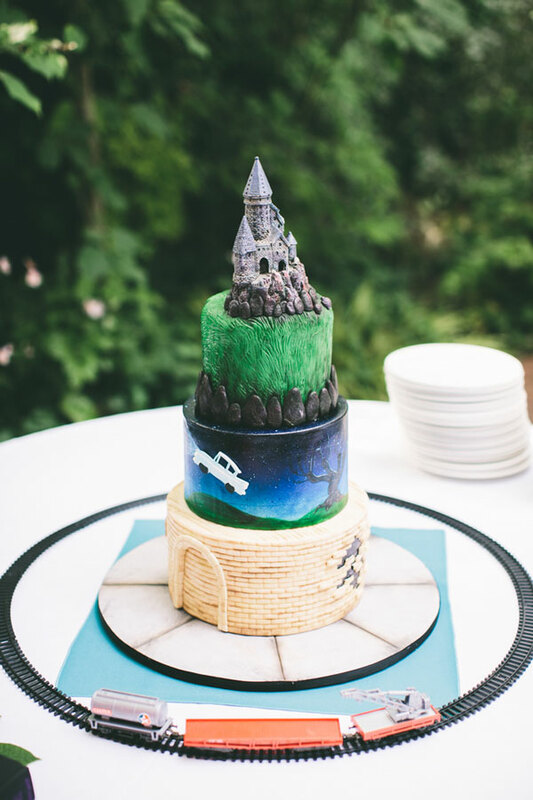 7Every table was customized and the wedding cake represented the journey of Harry Potter and his friends at Hogwarts. If you think this is it and this couple is the only one to actually implement an idea like this; you are wrong! 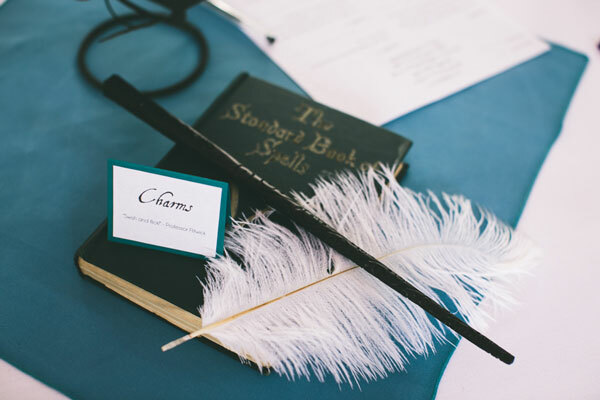 The internet is loaded with DIY Harry Potter wedding ideas. Have a look! 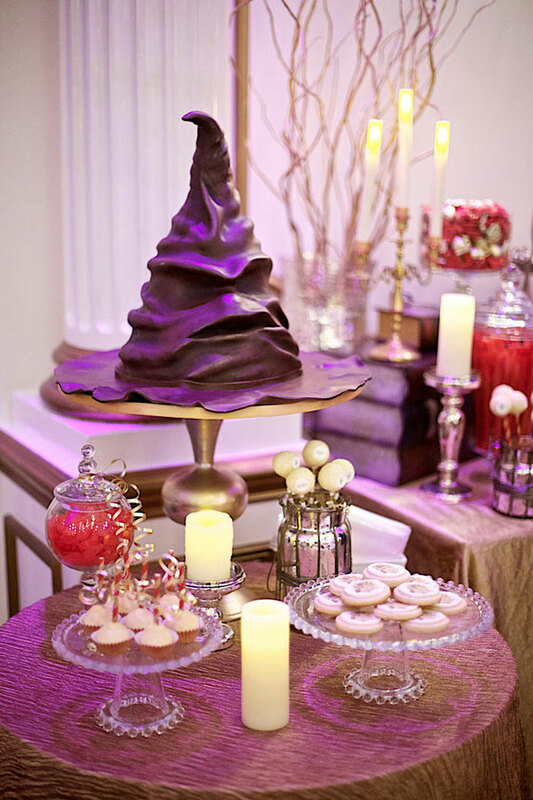 8That’s the sorting hat from Harry Potter turned into a chocolate wedding cake! 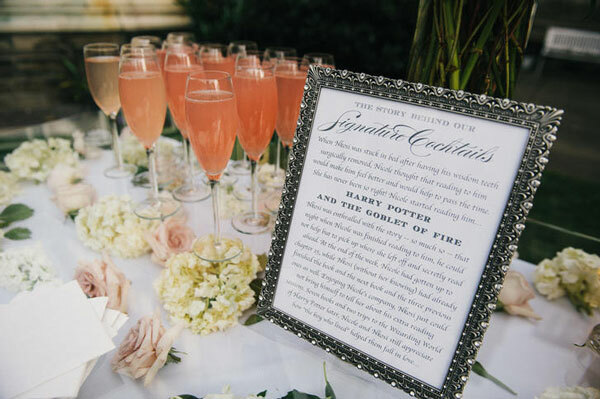 9That’s the classic Champagne and Bourbon Harry Potter signature cocktails! 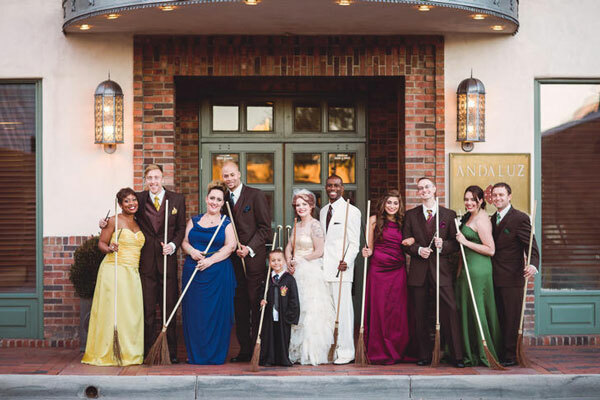 10Harry Potter themed outfits for bridesmaids and groomsmen! Fans will be fans always!